The Clangers: Love or Loathe? 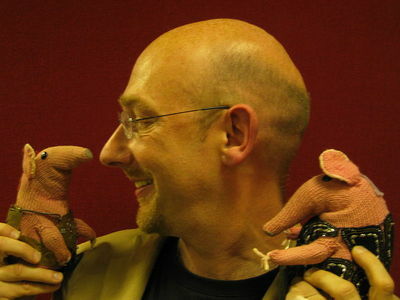 A BBC stop-motion animation from the 1960s/70s, The Clangers divide opinion. Do you love or loathe them? I never actually saw The Clangers; the closest I got was collecting the McDonald's toys. My mum hated the show, but she was much too old for it by the time it came out. Can't say I've ever heard of it?? It was a British animation, so that is probably why. The Clangers are a cross between pink mice and elephants that live on the moon and speak gibberish. I loved the Clangers. What a sweet, simple show. Still remember all the characters and especially loved the Soup Dragon. Ahhhh, nostalgia - it's not what it used to be!!! Who is your favourite Australian TV actor? Are there any TV shows you'd like adapted into a radio play? What TV show would you be on? Who was the best Miss Marple?